I guess we’re getting somewhere, but it’s about time given that this show has just one hour left before it’s done for good. Louise telegraphing the excitement of the race to lay down the railroad track that would seal a victory for either the Union Pacific or the Central Pacific was demonstrative of the down-to-the-second nature of this competition. 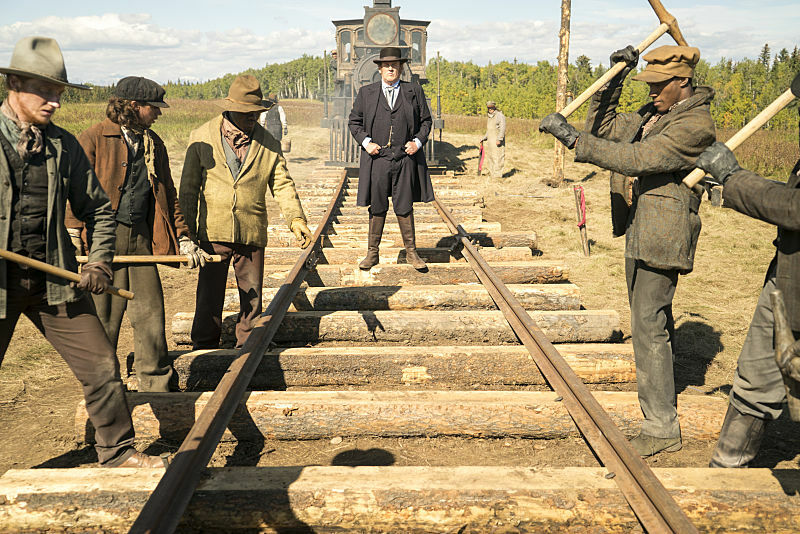 Jim choosing to poach both Cullen and Mickey’s men just two days before the railroad was complete seemed deliberate and antagonistic, but he’s beyond caring about any of that because of how he was summarily dismissed from his position at the railroad. While Durant and Mickey use intimidation and anger to ensure that their employees are obedient, Cullen is actually good to them, hence Psalms’ decision to lead his people over to the other side at just the moment that they could have helped Durant finish. Huntington conceding to Durant so that the corners he cut would not come to light was disappointing, and the only mediocre comfort was Cullen’s refusal to respond to Durant rubbing in his victory by simply congratulating him and moving on. Cullen’s poor state and apparent heart attack were deeply disquieting, and it seems like Cullen may not be long for this world, possibly even dead as of the opening of the series finale. If he’s gone, who’s left on this show? I’ll reserve judgment until I see where it all goes, but I’m really starting to wonder whether the second half of this fifth season has been necessary at all or if the show could just have been concluded a year ago.